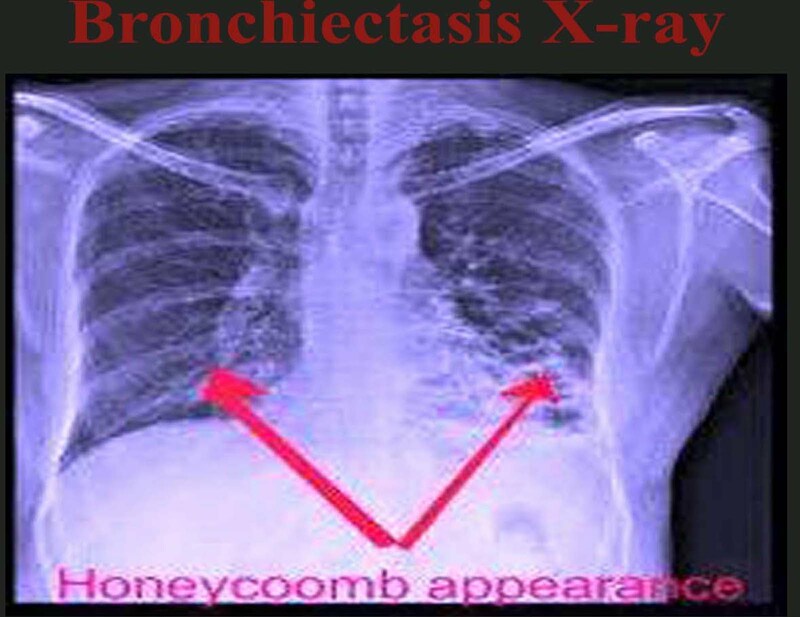 Bronchiectasis is a chronic irreversible abnormal dilation of the bronchi or bronchioles. It may be caused by variety of conditions. · Genetic disorders such as cystic fibrosis genetic disorder where there is abnormal transferring of Cl- and Na across the epithelial membrane in and out of the cell in the body. Which leads to abnormal production of mucous. · Frequent exposure to respiratory tract infections in childhood. Ex : Influenga ,URI, TB. The inflammatory process associated with pulmonary infections damages the branchial wall and there is a loss of its supporting structure and result in the thick sputum that ultimately obstructs the bronchi and the wall become permanently distended and shows impaired mucociliatory clearance. The retention of secretions and subsequent obstructions ultirnately cause the alveoli obstruction resulting collapse and finally inflammatory scarring or fibrosis replaces the functioning lung tissue. The patients develops respiratory insufficiency with reduced vital capacity and decreased ventilation and an increased ration of residual volume to the total lung capacity impairement in the matching of ventilation of perfusion and hypoxemia. Vital Capacity : Maximum amount of air with expel from lungs after maximum inspiration. Residual Volume : The amount of gas remaining in the lungs at the end of maximum exhalation. Total lung capacity : The amount of gas remaining in the lung at the end of the maximum inspiration. · Production of purulent sputum incopious amounts. · Repeated episodes of pulomonary infections. · Prolonged history productive cough with sputum consistently negative for tubercle bacilli. · CT scan – Bronchial dilation. · X – ray – Atlectasis ( Collapse of alveoli ) with wide dilation of bronchi. · To promote branchial drainage. · To clear the excessive secretions from affected portion of lungs. · To prevent / control the infections. - Postural drainage with reduces the amount of secretions and the degree of infection. - Sputum can be removed by suctioning. - Chest physio : Helps in secretion management. - Antimicrobial, antibiotic and mucolytic therapy. · Health education on smoking cessation. · Encourage increased intake of fluids. · The patient and family are taught to perform postural drainage and to avoid exposure to others with other infections. · Consider vaporizers to provide humidification and keep secretions thin. · Teach the patient to monitor sputum and report if changes in quantity or character occurs. · Instruct the patient and family about importance of pulmonary drainage. · Teach the chest physiotherapy techniques and encourage the patient to engage in physical activity throughout the day to help mobilize mucus. · Emphasize the importance of influenza and pneumococcal immunizations and prompt treatment of respiratory infections. · Major pulmonary hemorrhage ( Hemolysis ). 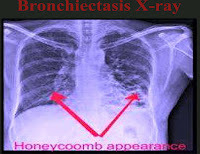 · Ineffective airway clearance related to broncho spasm, mucus production, tenacious secretions. · Anxiety related to the difficulty in breathing perceive actual loss of control and fear of suffocation. · Ineffective therapeutic regimen related to lack of inflammation about asthma and it’s treatment.